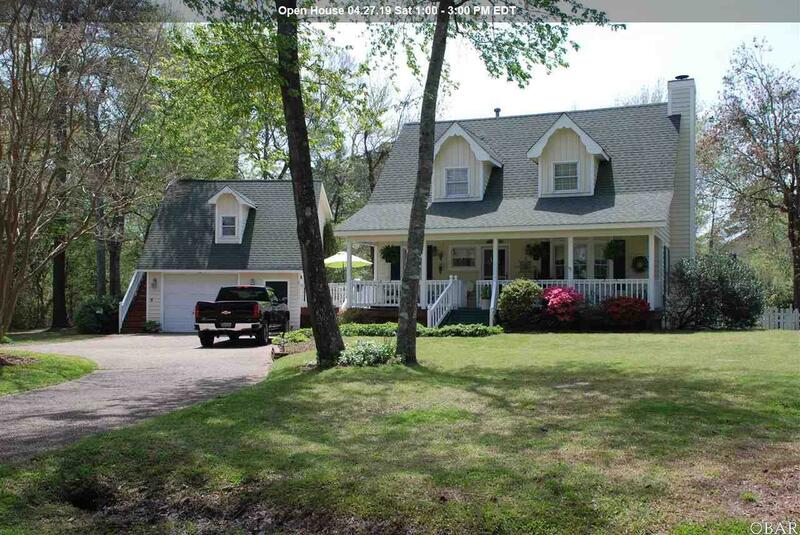 This home has a lot to offer, all the southern charm. 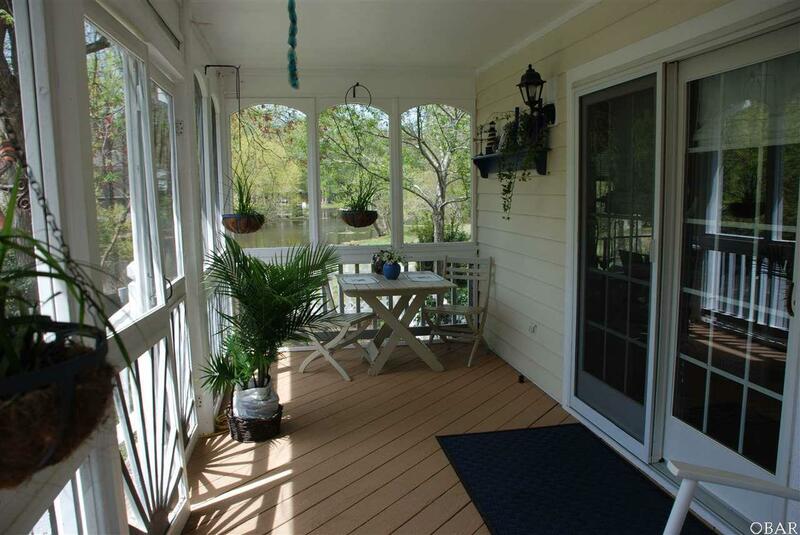 A large front porch perfect for your wicker furniture and ferns. 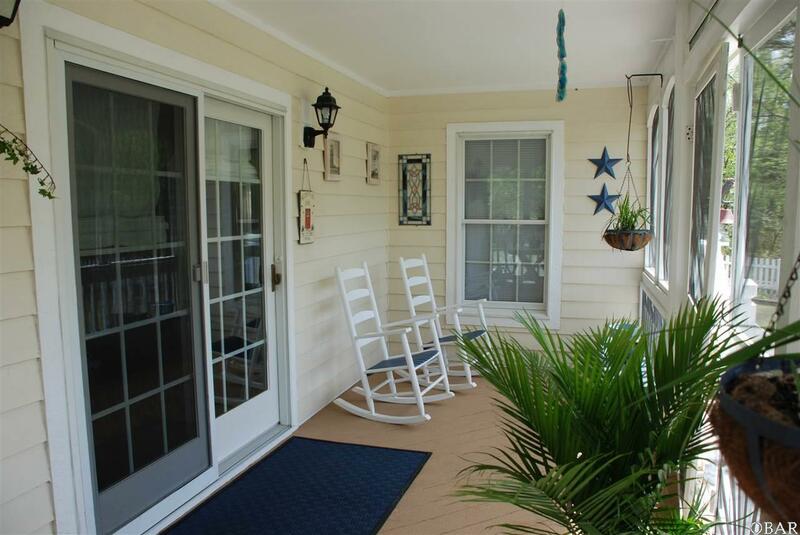 A screened in back porch with your rockers for summer evenings and a large side deck for your parties and sunning. The detached garage would make a perfect work shop. Above the garage is an in-law suite with separate entrance or use as a rental. It includes a private bath, kitchen with microwave, two burner stove top and refrigerator, the large room acts as living/bedroom area. Picket fenced backyard, with flower beds several places in the yard. Exposed aggregate circular driveway. If you like to fish you have a large pond in you backyard. No one can cross into your yard to reach pond without your permission. Owners have installed new Trane heating units with new furnace with separate controls for main level and upper level. Deck and all outside stairs have been replaced. New roof and added shutters. The home has been painted and power washed. Wall to wall carpet is new. This is a small, quiet neighborhood and safe for children. Walking distance to the beach is 10- 15 minutes. This neighborhood is loved by all and homes are cared for. Neighbors look out for you and your kids. 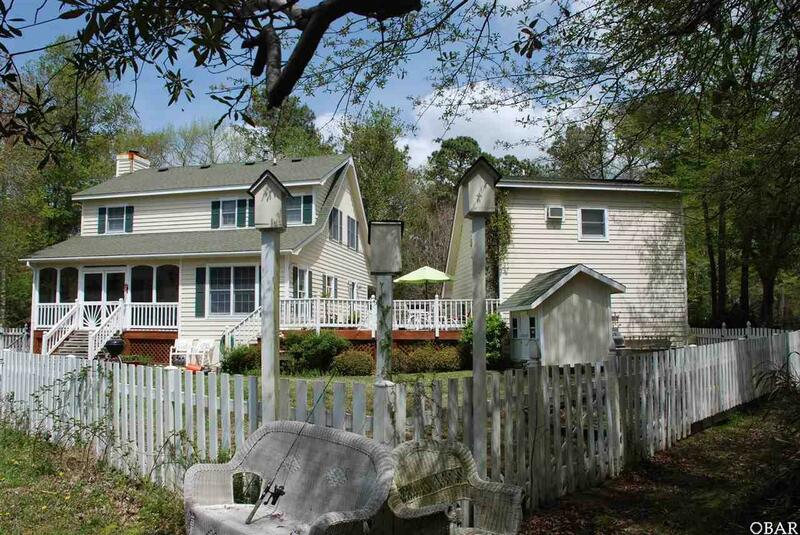 Listing courtesy of Carolyn Wakeley of Carolyn L. Wakeley, Broker.